Thank you for your feedback. We'll publish it uppon review. I am very satisfied so far with my Telo and Premier Service that I told my brother in law to buy one. I switched to Ooma from Bell in March 2019. I immediately saved $36/ month on my home phone. 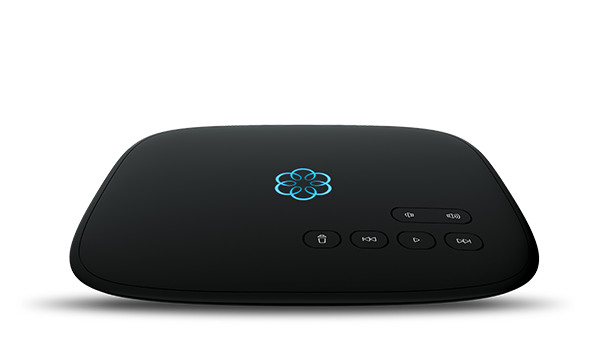 Ooma quality is excellent and the features included in the Premium service are better than Bell. As we seldom need to use a phone, I decided to look for a lower cost option than what we were paying for a landline. Ooma most definitely fits the bill! I was impressed by what I read on the website, the very small monthly fee charged and the fact that all calls within Canada are free, not just local calls as with the landline. I was sceptical that the sound quality would lack the clarity of the landline, but was pleasantly surprised to find that it is just as clear. The set-up was really easy, and I liked the fact that we could use our existing phones and jacks to connect it. Porting our existing phone number happened very quickly and efficiently, with regular progress updates from Ooma. Customer service was very good at responding to the initial questions and concerns I had. Overall, even just the basic Ooma package is extremely versatile and loaded with options for a very low cost. I have had Ooma for over almost 2years with no problems. I have between Rogers and Bell in Canada for 30 years trying to negotiate my contract. A rep from Fibrestream Services recommended Ooma Telo and I have been saving so much money every month without any issues whatsoever since starting August 2017. I could not be any happier !! I love the Ooma telephone, not only the voice is crystal clear but it has saved me from the monthly bills. Best of the lot , the ooma app lets me use the home phone anywhere. To sum it up , I really love it and hope I had found about this earlier. This is an excellent service at fantastic price. I highly recommend it! Works very well, easy to setup. Since installing it a month ago, I am totally happy with the Ooma Telo system. I can't believe the great quality! I have it connected directly to an existing landline phone jack, and it powers up the other phones connected throughout the rest of the house. It's as though I'm still using my existing landline, but without the added expensive monthly bills. Too bad I didn't do the switch much sooner. Thanks again for such an amazing service!